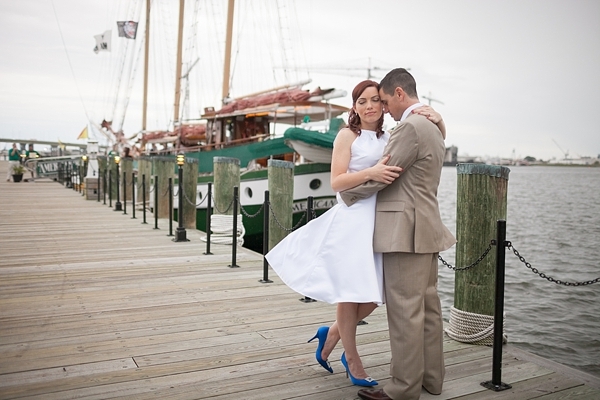 This couple may look familiar to you as we featured their Norfolk Pagoda engagement back in December, and we're so pumped to be able to share Vickie and Mike's intimate nautical wedding on the American Rover here today! 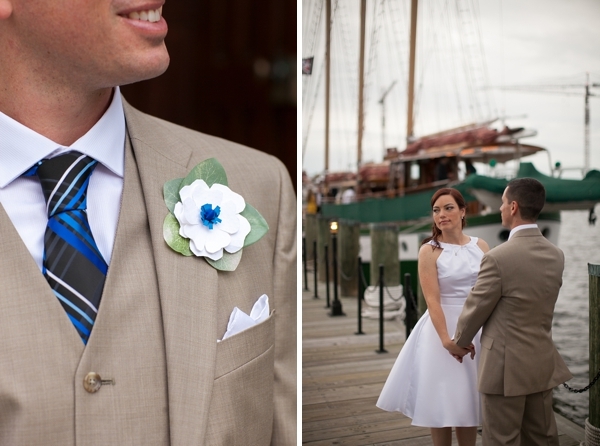 It may have threatened rain the entire day, but it never actually did, except for a few sprinkles as they were embarking for the reception. 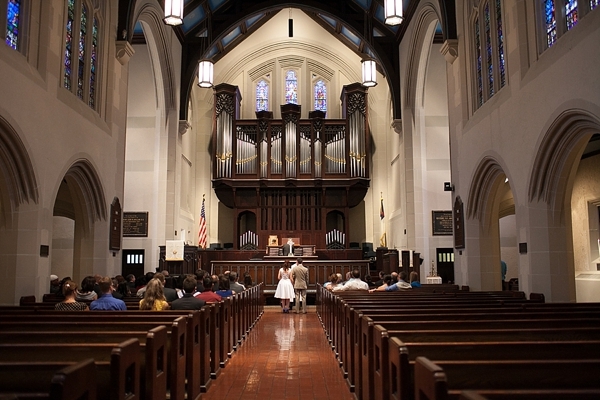 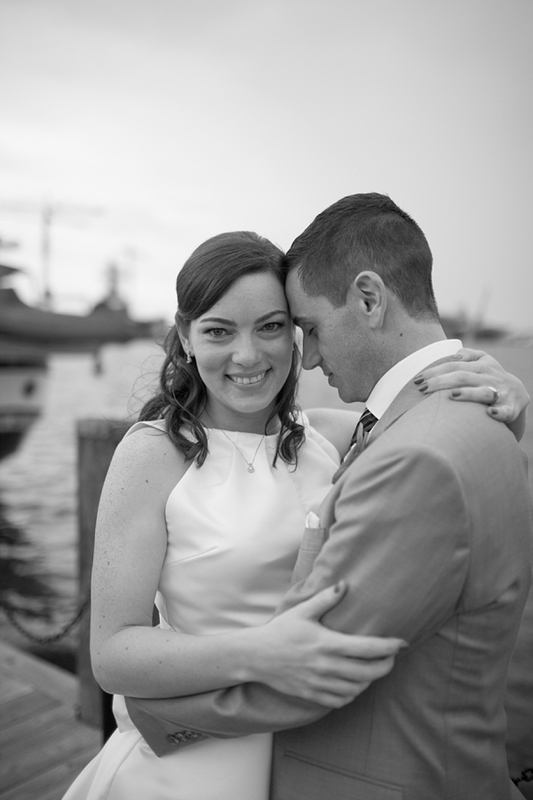 Captured by Amanda Truth Photography, their special day was a private affair with only the bride and groom's closest friends and family. 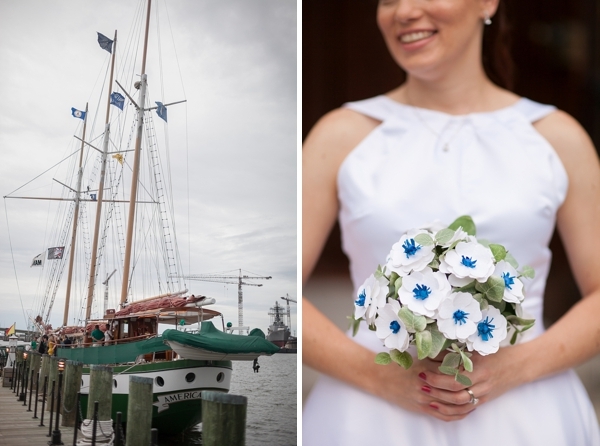 From their heartwarming church ceremony to their mobile reception sailing around the Chesapeake Bay, the whole wedding day was absolutely perfect for Vickie and Mike. 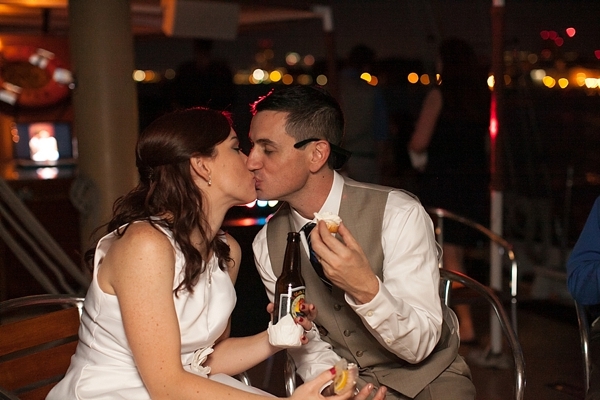 The paper flowers, the homemade cupcakes, and the late night taco bar all reflected their laid back personalities and their love of all things fun. 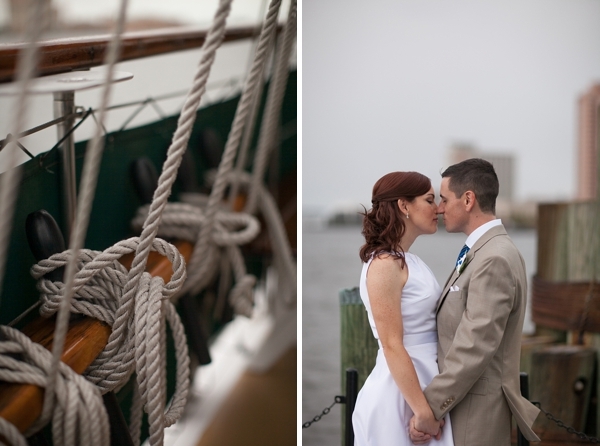 And the Just Married mast flag and pirate details on deck just added to the nautical charm of this Norfolk wedding!